Jacob is 3 months old!! This means the fourth trimester is over right?? 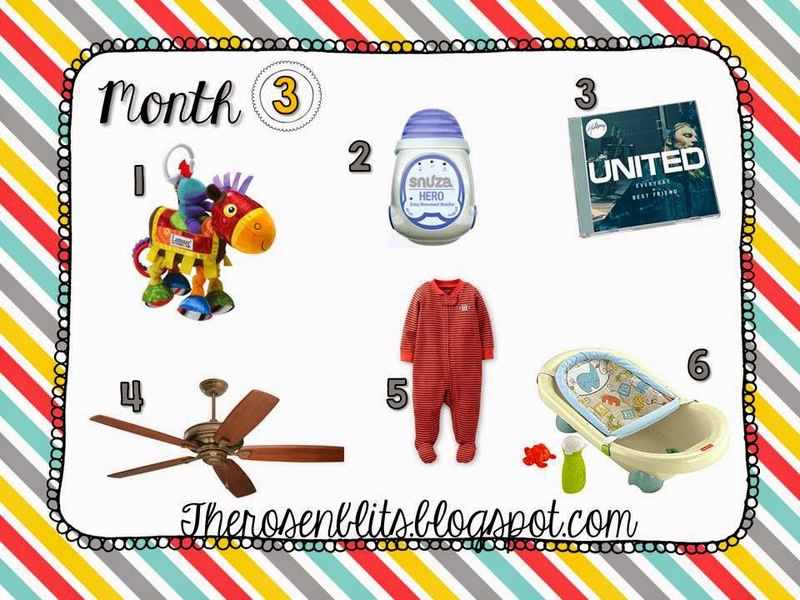 Jacob is absolutely still loving all of his one and two month favorites, but here are 6 more favorites now that he is a month older! 1. Sir Pracelot: This is a stroller toy from Lamaze. It has a ring to clip onto the car seat handle and Jacob loves staring up at him when we are riding in the car, or going for a walk. His body is made from different fabrics and textures for visual interest. Jacob loves grabbing at the rings on his tail. 2. Snuza Hero: Jacob just started sleeping through the night and it makes momma a little panicky. The Hero is a small clip that goes on Jacobs diaper. Once it's turned on it detects even very small movement like breathing. If Jacob goes too long without breathing, it vibrates to startle him and hopefully get him breathing again. If that doesn't work, an alarm sounds to let us know. We plan on using the Angelcare monitor once he's transitioned to his crib, but it can't be used in his bassinet or rock and play so this is a great solution for now. Daddy calls it Jacob's beeper. 3. 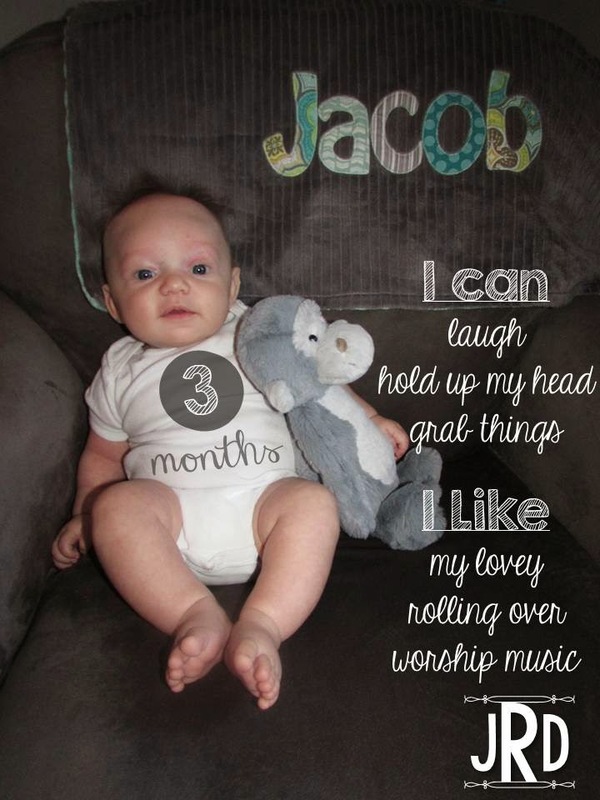 Hillsong United: Not exactly a baby product, but Jacob loves their worship music. When he's having a hard time settling down at night, one last nursing session or bottle snack along with their music calms him right down. 4. Ceiling Fan: Again, not a baby product, but it's Jacob's favorite thing. Ever. 5. Carter's Zip-up sleepers: God bless whoever decided to put a zipper on pjs instead of all those snaps. It makes diaper changes a million and one times easier, especially for that first diaper change early in the morning when I'm still half asleep and he's screaming for food because "Hello! It's been 7-8 whole hours since I last ate!" 6. Fisher Price Animal Krackers Rinsin' Tub: Jacob outgrew his baby bath sponge so we transitioned to his big boy bath tub this month. The sling cradles him just right and I don't have to worry about his head not being supported. He likes to hold the red crab toy while I wash him and the cup thing works great for rinsing him off. The plug at the bottom is great because I can let the water drain out while I"m drying him off and focus on dressing him and rocking him and not have our bedtime routine interrupted because I have to go back in and dump it out. 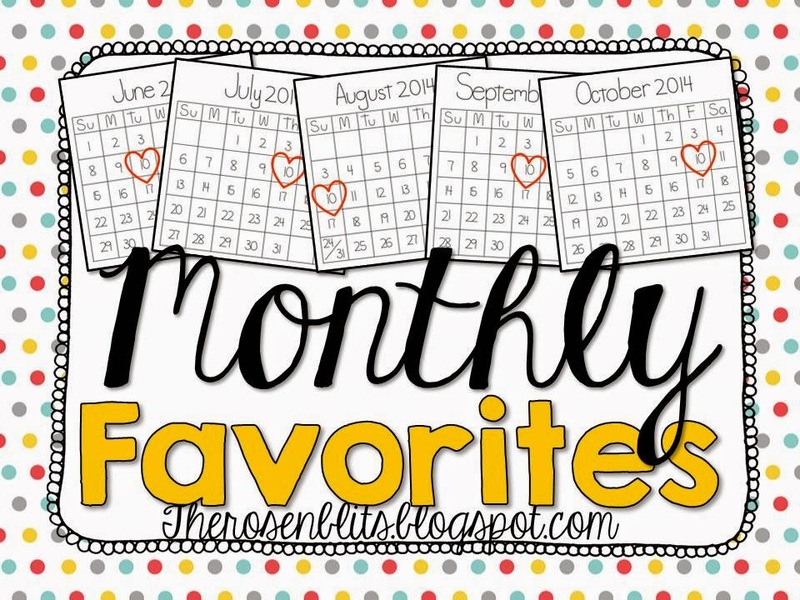 1 comment on "Monthly Favorites: 3 Months Old"